Mr. Cohen’s criticisms of the administration to which he now belongs seem eerily resonant. The issue today is the administration’s campaign to win Senate ratification of the Chemical Weapons Convention. Intended to abolish all chemical weapons world-wide, the CWC contains many loopholes, legal discrepancies and weak enforcement mechanisms that render it ineffective. In particular, there is every reason to believe that Russia has continued work to develop deadly new chemical weapons that would skirt the treaty’s requirements. Hungary recently became the 65th country to ratify the CWC, tripping a mechanism that puts the treaty into effect April 29 with or without the ratification of Russia, China and the U.S. Thus the administration is pushing hard for ratification by that date, though it had put the CWC on hold last September over concerns that the CWC might unnecessarily burden U.S. industry. American companies would be subject to new regulations and would be compelled to open their records to foreign inspectors. Firms having nothing to do with chemical weapons–wineries, breweries, distilleries, food-processing companies and manufacturers of electronics and soaps–could be forced to reveal trade secrets to the inspectors, to the benefit of foreign competitors. Clandestine production. Several countries–notably including Russia–maintain clandestine chemical weapon programs designed to elude detection. The administration virtually ignored reports of Moscow’s continuing covert development and production of binary nerve agents, and made no visible attempt to induce Moscow to terminate the programs–until last week, when the Washington Times made public a classified Pentagon report. The report described Foliant, the code name of a supersecret program begun under the Soviets to develop nerve agents so lethal that microscopic amounts can kill. One of those substances is A-232 of the Novichok class of binary weapons, which were designed to circumvent future bans on such agents.The Pentagon report says the chemical formulas are not defined in the CWC lists. Therefore, Novichok weapons technically are not banned under the treaty. The administration counters that they are banned “in spirit,” but as with all its arms control agreements, Moscow has been banking on the technicality and the camouflage.Russian military scientists and journalists revealed the program, but Russian officials were not alone in trying to cover it up. The leaked Pentagon report’s low level of classification–secret as opposed to top secret–suggests that protecting intelligence sources and methods was not the objective of the secrecy. Rather, it appears the facts were simply too inconvenient for the administration’s purposes. Nearly all the leaked information had appeared in the press long before. 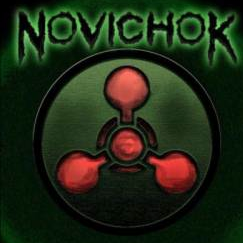 In September 1992, Vil Mirzayanov, a dissident Russian scientist who worked for 26 years on the clandestine programs, wrote an article in Moscow News describing the existence and nature of Novichok, and the specific intent to circumvent the CWC. More details emerged over the next two years as authorities persecuted–but never disputed–Mr. Mirzayanov. 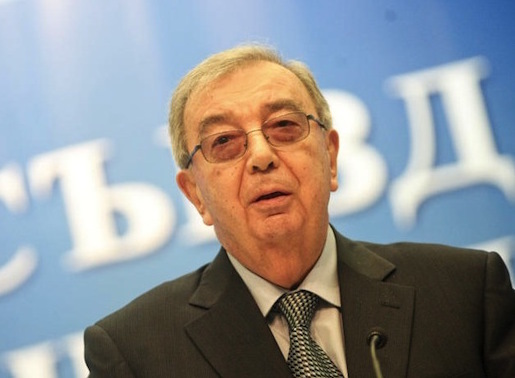 One of Russia’s top binary weapons scientists, Vladimir Uglev, revealed the existence of A-232–which he personally developed–in an interview with the magazine Novoye Vremya in early 1994. And in May 1994 Mr. Mirzayanov wrote about A-232 and other substances in an article for this page. Along with these first-person accounts came additional revelations of both programs in the Baltimore Sun and other publications. Backed by letters from Sens. Bill Bradley (D., N.J.) and Jesse Helms (R., N.C.), U.S. Ambassador Thomas Pickering held a Moscow news conference in January 1994 defending Mr. Mirzayanov for “telling the truth about an activity which is contrary to treaty obligations.” Yet in Washington, officials kept silent. Only the embarrassment of last week’s Washington Times report has spurred the administration to ask Russia to stop. Weapons destruction. The U.S. and other nations have repeatedly offered to help Moscow destroy the tens of thousands of tons of declared chemical agents in its arsenals. A legal base toward this goal is the 1990 Bilateral Destruction Agreement. Visiting Bonn last spring, Mr. Holum of the Arms Control and Disarmament Agency learned that Moscow was planning to withdraw from the BDA, and wrote a May 21 cable to Washington with the news. Lawmakers who asked to see the cable were told for weeks that it did not exist, Senate sources say. Sen. Jon Kyl (R., Ariz.), a member of the Select Committee on Intelligence, wasn’t allowed to read the cable until the eve of the expected September ratification vote, when he was shown only a redacted version. Chernomyrdin letter to Gore. Russian Prime Minister Viktor Chernomyrdin sent a letter to Vice President Al Gore on July 8, 1996, warning that if the CWC went into effect before Russia’s ratification, Moscow probably wouldn’t ratify it. The letter was faxed all around Washington, but when Sen. Helms, chairman of the Foreign Relations Committee, asked the administration for a copy, the administration classified it. The Clinton administration had hoped to present the Senate with a fait accompli; that’s why it encouraged Hungary and other nations to ratify the treaty and automatically trigger its implementation. Yet the White House strategy seems to have backfired. After Hungary set the CWC in motion, the upper house of the Russian Parliament voted down a long-awaited law that would establish the legal basis for chemical-weapons destruction. Just as the administration began its new CWC sales pitch, the Pentagonwas forced to explain why it had done nothing for four years to convince Moscow to terminate its clandestine binary weapons program. And with former Sen. Cohen settling in at the Pentagon, others in the administration still hide behind their paper shield of secrecy. Did Russian spies unwittingly kill arms control treaty?